Why are dots so freaking cool?! I don't know what it is, but this simple shape gets-my-goat every time! 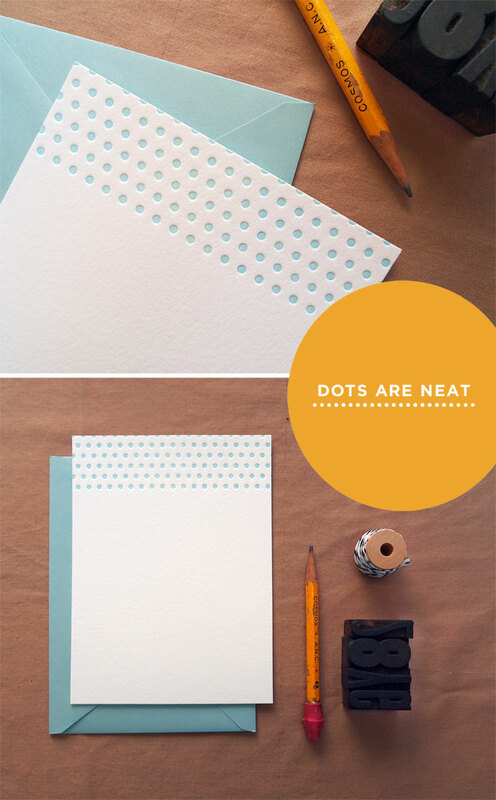 Want some letterpress polka-dots notes of your own? They're in the shop waiting for you -- I'll be selling sets of 10 for $20, pretty blue envelopes included.